In what has been an interesting week for the Republic of Wynnum, getting a fair amount of media coverage in print, online and on the radio for its independence day last week, it also gained and then promptly lost an entry in the online encyclopedia Wikipedia. The Republic is keen to point out that it did not submit the entry to Wikipedia, neither was it involved in the online debate surrounding whether or not the listing should be deleted. It is interesting to note that one of the reasons the listing was not supported was the absence of any commentary in ‘reputable’ print media. We don’t recall if this assertion was made before or after the coverage in the Wynnum Herald! What do you think? Should the Republic of Wynnum have a listing on Wikipedia or not? I think the Wynnum Republic doesn’t fulfill the requirements of a ‘republic’ as determined in legal and political terms. 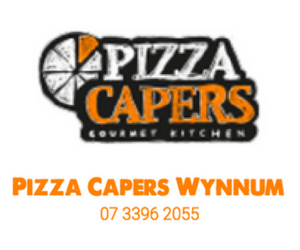 It’s fine to call us the Wynnum Republic, but have we, or just some of us, voted for our ‘leaders’?